Saint Valentine’s Day may be steeped in Catholic and Roman tradition but not wanting to miss out on the one day that recognizes love and romance in the world, countries across Asia have added the occasion to their calendars. 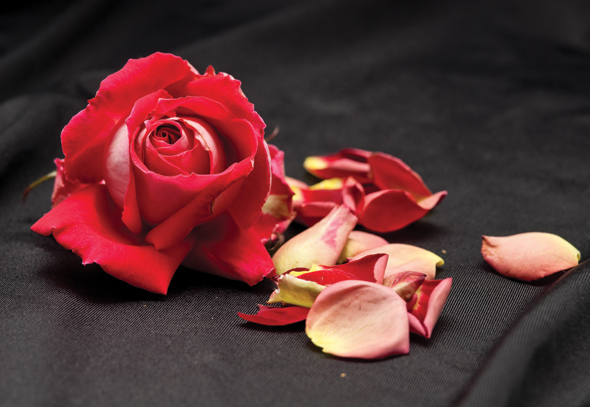 Still, just as Romeos throughout history have debated over the true meaning of love, the methods of celebrating this sentimental day have also been left open to interpretation. In Asia there are many ways of showing what love is all about. Whereas many other Asian countries have only recently adopted and then adapted Valentine’s Day to suit their own cultures, Filipinos have been proudly honoring the traditional for years. Valentine’s Day is the highlight of every male Filipino’s social calendar, and it may be from the effect of living under two diverse foreign influences for so long. The Iberian passion and Roman Catholicism brought by the Spanish and then the brash consumer culture of the Americans—once famously described as “three centuries in a convent followed by 50 years in Hollywood”— means that Valentine’s Day is taken very seriously. Even a coup planned in the 1980s against the Aquino government was set aside when it was remembered that public support for the rebels would not be forthcoming if they ruined the mood on Valentine’s Day. Now that’s an example of making love not war. The ever-romantic Filipinos present red roses to their objects of desire, while those still looking for love are not afraid to advertise the fact by wearing a red shirt. Just like countries in the West, theatres, restaurants and shopping malls will be packed with couples on a romantic interlude, but a recent Valentine’s Day trend has taken the celebrations one step further. Since 2004, couples from all over the Philippines gather to try and break the world record for the most people kissing simultaneously. The festival is held at city shopping malls across the country and takes places at midnight when couples must kiss for 10 seconds—or longer for those who get carried away. Fireworks burst into the sky and a cheesy, love ballad blasts out as the country waits for the lip-lock to end. In the evening, famous bands and celebrities provide a star-studded bill of entertainment, while those who couldn’t secure a partner have to watch and hope for a chance at love next year. The event was first organized in 2004 between the government and Unilever’s toothpaste brand Close-up, when 5,347 couples successfully broke the world record for the most people kissing simultaneously. Each year, more venues and couples take part throughout the country. Not a country to do traditional celebrations like the rest of the world, Japan has its own take on Valentine’s Day. The day is so different in fact – for women in particular – it sometimes involves giving a gift of love to people you don’t even like. Men who go in to the office on February 14th will most likely find their desk littered with neatly wrapped boxes, each tied with a bow and containing a chocolate or two inside. Before feeling quite smug about having an admirer, it’s worth noting that every other male colleague will receive the same chocolates. Furthermore, those chocolates were probably not placed there with love. Welcome to the ‘tradition’ of giri choco, a custom observed by Japaanese women who are required to give obligatory chocolates to their superiors and other male colleagues. It is not unusual for a woman to buy 20 to 30 boxes of chocolate to hand around the office as well as to her male friends. Valentine’s Day was not celebrated in Japan before the 1950s until a Japanese chocolate manufacturer, wanting to cash in on the spread of Western culture and give a boost to the economy in the difficult post-war days, introduced the occasion to Japan. Other chocolate labels soon started marketing products for Valentine’s Day and the holiday became a huge source of revenue for chocolate companies. Even today, more than half of the chocolate that is sold yearly in Japan is sold around Valentine’s Day. 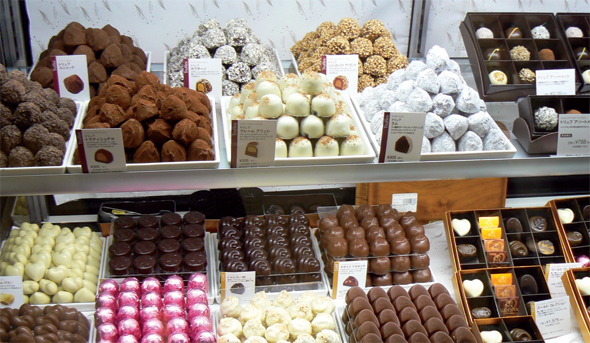 From mid-January, department stores swing into action displaying huge heart-shaped displays and hundreds special types of chocolates. As the day approaches stores are packed with female shoppers and queues even form down the street outside the best-reputed chocolate shops. Still, men are not completely off the hook. One month later, on March 14th, men are supposed to return the favor. Confectioners in Japan, never ones to miss an opportunity to sell something, took advantage of the Japanese feelings of obligation and created ‘White Day’ to help relieve the guilty feelings of men who received chocolate on Valentine’s Day. Over in Thailand you can rest assured that true love and life long partnerships are the order of the day. In Trang province in Southern Thailand, adventurous brides and grooms take part each year in a mass underwater wedding ceremony. Couples enjoy a flower-filled procession by traditional long-tailed boats from the mainland to Kradan Island with its pure white sand, stunning fertile landscapes and crystal blue waters. Before disembarking, however, diving kits are put on and the next time the partners see each other in the fresh air, they’ll be a married couple. The service is held 12 meters under the clear sea surrounded by schools of fish and brightly colored coral. Waterproof pens are on hand to sign the marriage certificate beneath the waves and sign language is used for the legally binding ceremony. Although the ceremony may seem unusual it does incorporate many Thai wedding traditions. Along with scuba gear, the couples wear hand-woven Thai wedding costumes and a Buddhist ritual is the focal point of the ceremony. On the beach, the ritual of rod nam sang is performed, where water is poured from a conch over the couples’ hands. Before the weddings begin, couples and guests pay tribute to the ceremony’s eco-conscious roots and all participants release marine life into the sea before going underwater themselves. On the morning after the wedding, couples plant trees as a commemoration of their love. 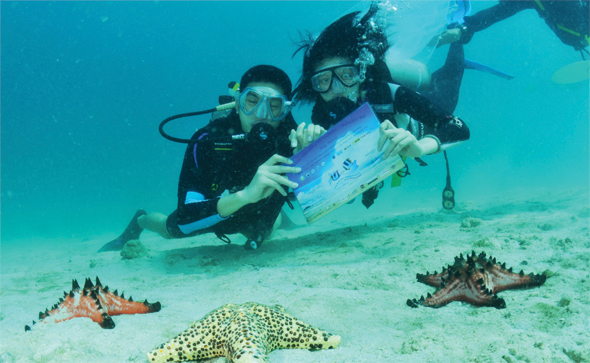 The quirky yet romantic event began in 1997 after a couple, who met and fell in love at an eco-tourism event in Trang, chose the underwater setting as part of their traditional Thai ceremony. More couples have been attracted to the idea of an underwater wedding ceremony each year and in 2000 the event made it into the Guinness Book of World Records for the largest underwater wedding ceremony.